I can online shop with the best of ’em, but one thing I love about shopping in physical stores is the ambiance. 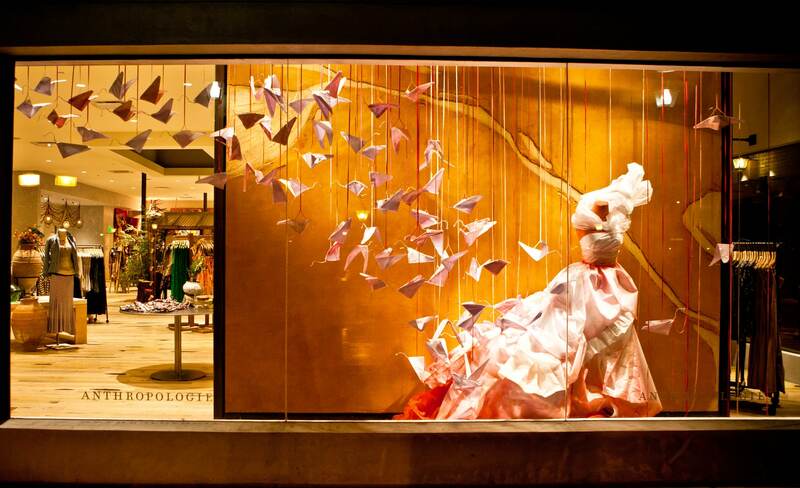 There’s something so special about walking into a beautifully curated store with appealing window displays. That’s how I’ve found some of the hidden gems in my city — local boutiques I wouldn’t have thought to enter had they not looked so… pretty. Some stores are really good at branding themselves through their decor. When you can walk into any location of a store and immediately recognize where you are, that’s a sign that a company has done a good job making their decor and organization recognizable. 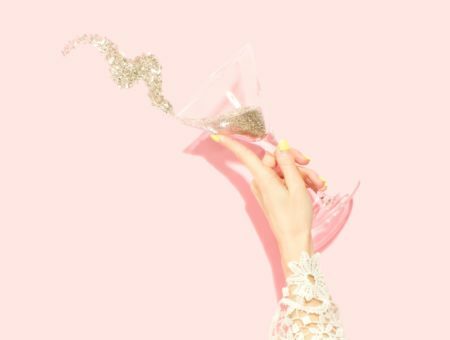 With this idea in mind, I’ve decided to take some of the most recognizable stores and use them as decor inspiration for your apartment. Ceiling Hangings. That’s the first thing I notice here. Every time I walk into an Anthropologie they have some kind of decoration that makes you look up in surprise. It might be hard to replicate this exactly, but I’ve had a lot of success with strings of tassels like these. You can also use tissue flowers in different colors to create a mini garden up there (they’re lightweight so they won’t fall off and hit you in the head). Rustic wood. I love the antique feeling of this display. It’s not a new, shiny wood either — it looks like it has a lot of wear (though I’m sure it was bought a year ago) and the color is very faded in parts. You can find similar antiques at a thrift shop or somewhere that sells used furniture for cheap. Pastels. 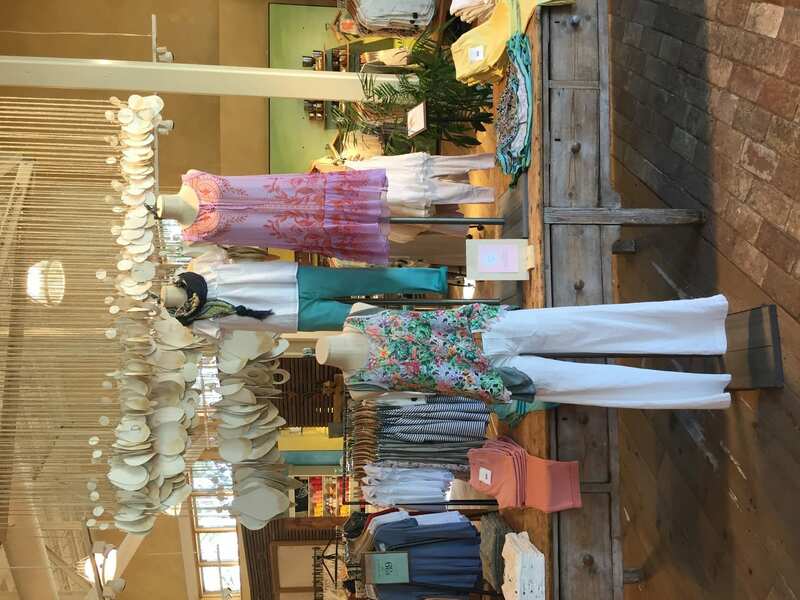 If you want to mimic the look of Anthropologie you should try to keep a soft palette and neutral colors. Earthy greens and summery yellows are perfect for the current season, anyway. Planters. 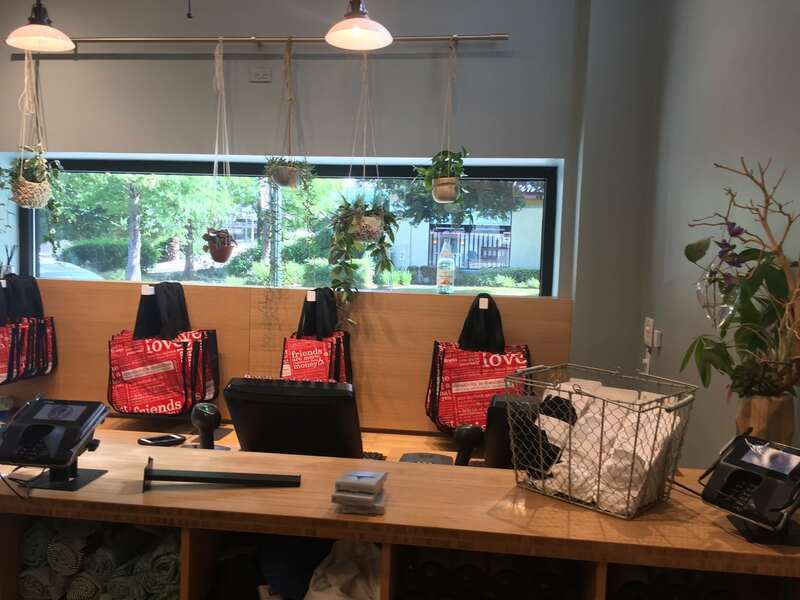 The register of my local Lululemon caught my eye immediately because of the hanging planters! There’s also a small plant in the corner which I love because it takes what would be a boring, corporate scene and gives it some life. Cubbies. 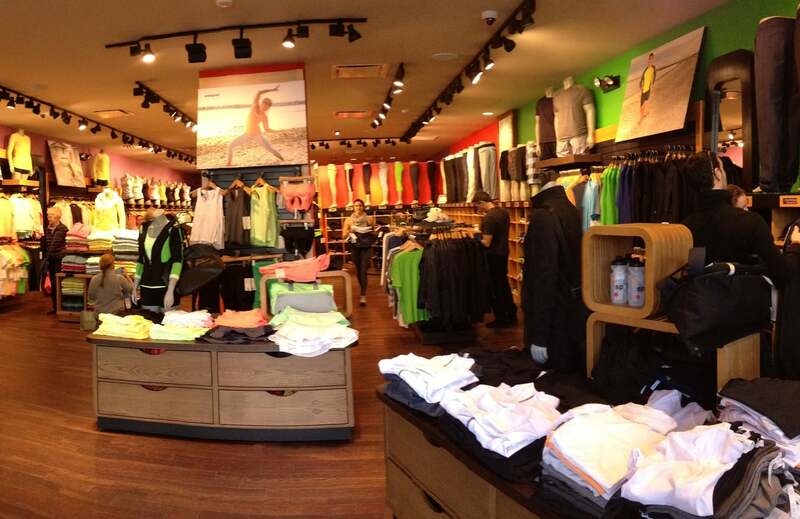 The organization of the Lululemon store is really neat — everything has a perfect place. If you enjoy how this looks, consider investing in some cubbies, bookshelves, crates, etc. Anything that will help you build up and stack your goods is the right idea. Bright colors. LUSH is basically the opposite of Anthropologie — everything in here screams bold and bright. Even the soaps range from bright blue to popsicle-colored orange. Why not buy a fuchsia lamp or a cerulean trash can? Chalkboards. 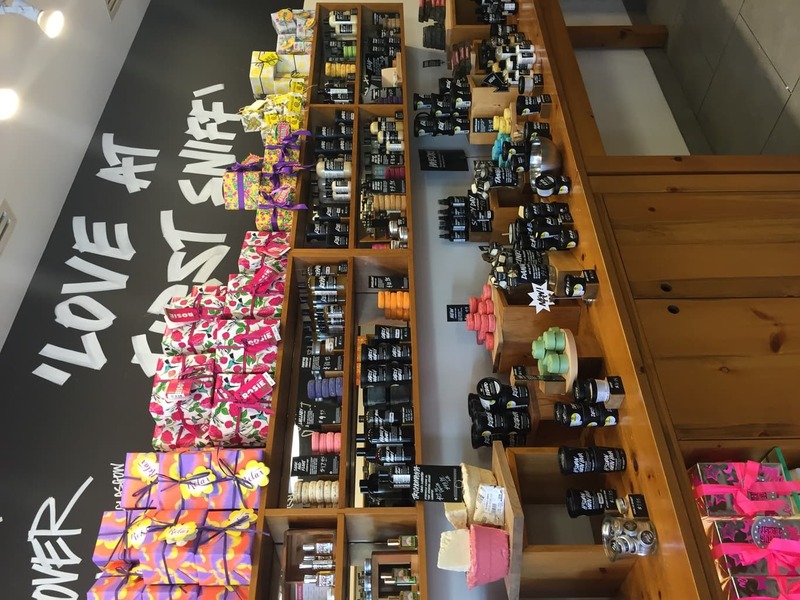 Every LUSH store I’ve visited has black walls with white writing. It’s a very classic look. To copy this, simply get a few black chalkboards and start writing! Or, you can paint an entire wall with chalkboard paint and have different colors of chalk to draw with (I had a friend in high school do this–it really works and is an interesting touch). If you’re not allowed to paint your walls, roll-on chalkboard wall decals are available, too. 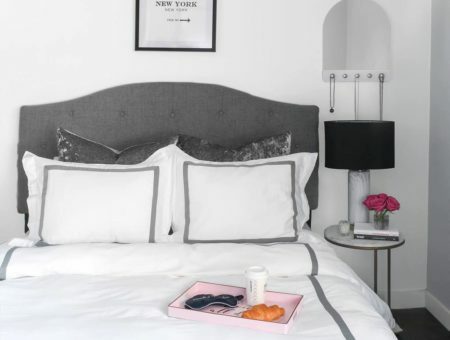 How do you make your apartment look like a boutique? What stores do you find have really good design? Do you like being able to walk into a store and recognize it immediately or do you find it boring? Let me know in the comments!